COLUMBIA – Columbia Parks and Recreation is opening a unique trail in Columbia. 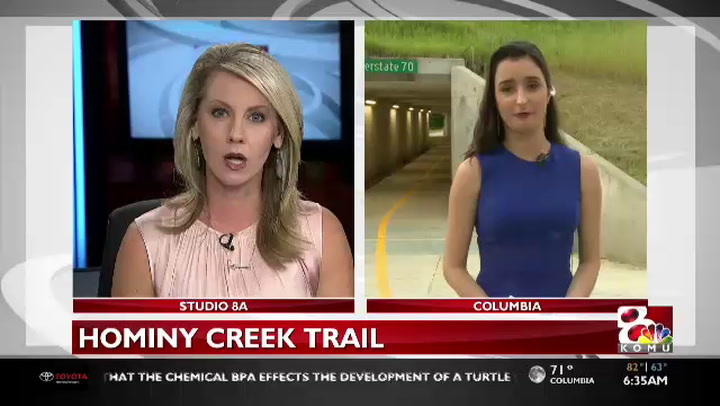 Hominy Creek Trail is different than many others in Columbia. The opening dedication will take place south of Clark Lane at 5:30 p.m.
“We are inviting residents out to come and join us in the celebration. We have several speakers from the City of Columbia. We are going to have a few light refreshments and then afterwards we are going to have a guided bike ride down the trail,” Godon said. The Link Apartments will provide parking for the event. The trail is 2.9 miles. It runs between Stephens Lake Park and at Lillian Drive north of Clark Lane. Funding for the trail came from parks sales taxes and grants. Planning began more than 10 years ago.